Day 1: Boat shuttle from Puerto Bertrand to Patagonia Frontiers Main Ranch. Orientation and begin multi-day guided backpacking. 12 km. (7 mi.). Overnight Tent Camp at Cacho Ranch. Day 3: Complete guided backpacking trip. 12-16 km. (7-10 mi.) Boat shuttle to Puerto Bertrand. Day 1: Puerto Bertrand is your departure point for Patagonia Frontiers. You board a boat and travel 16 kilometers (10 mi.) across two connected lakes to reach our dock and main ranch. There are no roads here. 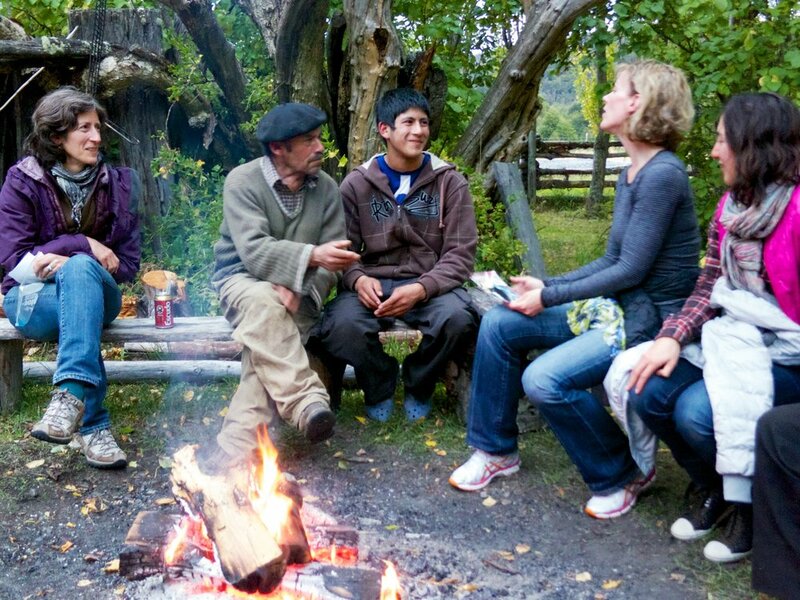 Once you’ve met your guides and staff and had a look around you’ll prepare for our trek up the Solér Valley, toward the icefield. There are several short creek crossings so don’t forget those sandals or water shoes. One-hour boat shuttle. Trekking distance is approximately 12 kilometers (7 mi.). Day 2: Mate and breakfast are served around a campfire as you watch the long, creeping approach of the morning’s sun slip down from the peak tops to the valley floor. 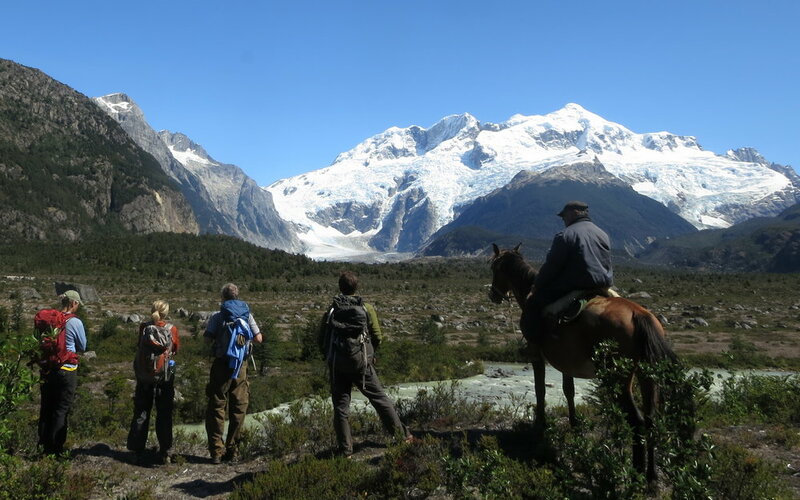 Today, you will hike and explore an untouched depth of wild Patagonia that is seldom revealed. Day 3: As the morning sunlight edges toward camp, you’ll sip yerba mate around a fire, and marvel as the light plays over the peaks of snow, ice and rock. There’s plenty of time to take in the beauty before packing up camp, and heading back home down valley. Upon departing we will travel one of several routes back down the valley to the main ranch. Take a walk in the pasture and share a moment with the horses, or simply relax as you prepare to say goodbye to the ranch before departing by boat to Puerto Bertrand. Trekking distance is approximately 12-16 kilometers (7-10 mi.). One hour boat ride.